Neighbouring cities Albury Wodonga straddle the Murray River on the border of Victoria and New South Wales. Albury Wodonga is now the largest inland centre in Australia outside of Canberra servicing a population base within Albury Wodonga and surrounding townships of around 170,000 people, providing a large critical mass. 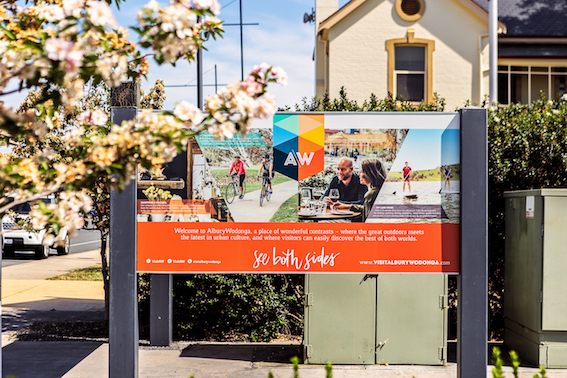 Strategically located on the main corridor linking Australia's capital cities, Albury Wodonga offers great investment opportunities supported by excellent health, education and lifestyle options, ensuring a great place to live, work and invest. A thriving industrial base, expanding commercial area and modern innovative residential developments are three major ingredients for ensuring continued growth. Albury Wodonga’s employment base is underpinned by several strong industries giving it a stable base and diversity. Albury Wodonga offers an ideal decentralised location for businesses unable to establish or expand with metropolitan areas. With well developed road, rail and air transport infrastructure and excellent communication facilities. Albury Wodonga's position on the main Australian transport corridor provides businesses with significant competitive advantages in terms of freight and distribution movement. More than 75 per cent of Australia's population can be reached by overnight road or rail. Albury Wodonga is located three hours from both Melbourne and Canberra, six hours from Sydney via the Hume Freeway and is on the main rail line between Sydney and Melbourne.